It’s been more than a week since I attended the 2013 Adobe Day at Lavacon, and like the previous two Adobe Days that I’ve attended in the last year or so, it certainly exceeded my expectations. There’s a lot to digest and write from my notes, plus I’ve been busy with my job, so it’s taken me a while to get things started. I appreciate your patience, as I hope that these upcoming summaries will give you the full flavor of this always free, thought leadership event! The theme for this Adobe Day seemed to change mid-campaign prior to the actual event. Originally, the day was promoted as being an event in the “City of Roses,” alluding to one of the nicknames of the hosting city, Portland, Oregon. Later, the event was touted as being “a conference at the confluence of 2 rivers,” again referencing the location of Portland. Since this was my second visit to Portland in which I had an opportunity to see much more of the city and surroundings than during my first trip, I decided that I would adhere to the original theme for my postings about the event. As always, I find it best to start my summaries of Adobe Day with the panel discussion that ended the event, as it provides an excellent starting point for the issues discussed throughout Adobe Day. 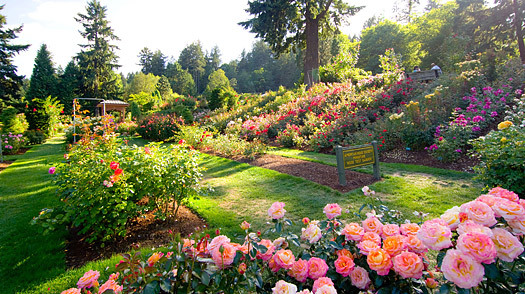 The panel discussion was titled, “Preparing Your Content for Multi-lingual, Multi-Channel Global Delivery–Challenges and Opportunities.” In thinking about this theme, it reminded me–sticking with my floral theme of the “City of Roses”–of the International Rose Test Garden in Portland. The International Rose Test Garden is the most famous of all the public gardens in Portland, having the most colors and varieties of roses found anywhere for all to enjoy. The Adobe Day panel consisted of several thought leaders in technical communication that resembled this rose garden, as it was full of variety in experiences and opinions. The panel consisted of Tom Aldous, Val Swisher, Joe Gollner, Bernard Aschwanden, Neil Perlin, Joe Welinske, Fabiano Cid, and Matt Sullivan. The Adobe Day Panel and Moderators! Q: What does it means to be global ready? A: Global ready means being able to operate anywhere in the world, ready to be translated easily, and that content being to be able to be structured, simple, and consumable. Other benefits includ knowing your audience well, as this way, content will be more consumable by both native and ESL (English as a Second Language) speakers. Q: What is the single biggest challenge preventing us from reach global audiences? A: The current mindset, rapid change, and a lack of strategy were listed as the top challenges. It was also noted that the voice that companies use now, such as cheeky language, isn’t working. We aren’t thinking strategically, so we need to think about the whole life cycle of projects and getting out of thinking in “silos”. Q: What can we do to prepare for both human & machine translation? A: Simplifying sentences in a grammatically correct way is a big way to help. Sentences should be 24 words or less. We need to also decide whether to use original content or not, what kind of content, what volume, etc. Content needs good globalization methods with translation and localization. Q: Is it possible to create consistent tone and voice that will translate well across cultures, and if so, should we? A: We may not be able to do it for all audiences, but you need to try. Q: What is multichannel publishing exactly? A: It is making maximum use of technology to create translation of content. This includes writing code to code, spoken to written, etc. You need to create a single, consistent source for what you are doing. As we break content into chunks for reuse, we have to take into account corporate culture and practices. Q: What are the biggest challenges facing organizations that seek to publish content to multiple channels? A: The biggest challenges listed were internal obstacles, such as no one wanting to change, “this is the way we’ve always done it” attitude. The is a need to understand that times are changing, so content needs to change with the times. Content may be outdated and it need to keep up. Writers can be a problem as well, as the content we create isn’t necessarily the content we consume. Customers can consume content in ways that we (the writers) don’t, so we need to be mindful of that. The people who are consuming content today are not the people who were consuming it 5 years ago. The content that you put in your help files also has to be on Google, after all. It was recommended that writers use SEO words in Google that customers use, and that will help writers understand context and how to craft our documentation for customers, as “Google-ability” affects context. Keywords are often created post-publishing, so we need to be proactive before publishing to have the advantage. If you manage your keywords, you can help with findability. Q: What are the not-so-obvious opportunities of multichannel delivery? A: Opportunities taking advantage of non-text items are the best opportunities right now, such as automated graphics that adjust to a device display. A table of contents for video can actually help in documentation, since end-users don’t have a long enough attention. Indexing multimedia should be made as part of the product. Further action also need to be taken to expand on the idea of being able to start on one device and continuing on another, like Kindle, as this has not explored enough yet. Q: What’s the biggest mistake an organization can make when moving to a multichannel global content delivery? A: Organizations tend to look internally, instead of getting outside input, such as learning things from conferences (like @LavaCon ). Mobile delivery is very different in different countries, so we need to do it in ways other than American. We need to find balance if one aspect is overfocused. The biggest mistake is thinking that everyone is like us (Americans/North Americans). They’re not! Strategy and planning from the start is key! We need to also learn from what’s working and what’s not, and go from there. It’s important to stop and assess procedures, and then add on more. There is a strong need to clean up practices. It comes back to knowing your audience–its symbols, language, culture. Testing is the best way to see if your audience are getting the benefit of the content you are putting out, and making sure it’s usable. Q: How does one write consistency to reap those benefits and be consistent with SEO? A: Writers need to know what language your customer is looking for you, and find a balance between translatability and vocabulary. Metadata is important inside as well. Q; Are there tools on the horizon that will help with those symbols, icons, etc. that could not be good for translation? A: At this point, no software as of yet. It’s mostly people based right now, but evolving software does exist. Precise content has its benefits including accessibility as well as fluid machine translation. Interaction types (voice, touch, text) will be a big part of how you integrate with content for global audience in mobile, although it’s not limited to mobile. Consideration of various screen sizes will be key. Think your online help is the first place your users go for answers? Unless your help shows up on Google, think again. You have to admit, it sounds like quite the conversation, and it was! Next in the Adobe Day -Lavacon 2013 coverage: Matt Sullivan’s presentation. This entry was posted in Uncategorized and tagged Adobe, Adobe Day, Adobe FrameMaker, Adobe RoboHelp, Adobe Systems, Adobe Technical Communications Suite, Bernard Aschwanden, challenges, City of Roses, content curation, content strategy, Danielle M. Villegas, digital literacy, education, Fabiano Cid, findability, Framemaker, global delivery, Global ready, Google, Google-ability, Googleability, International Rose Test Garden, Joe Gollner, Joe Welinske, Lavacon, localization, machine translation, Matt Sullivan, Maxwell Hoffmann, metadata, mobile, multichannel delivery, multichannel global delivery, multichannel publishing, multilingual content delivery, Neil Perlin, online help, opportunities, Oregon, organized metadata, Original content, Portland, Portland Oregon, RoboHelp, Scott Abel, SEO, single sourcing, singular experience, smartphones, social media, tech comm, tech comm software, TechCommGeekMom, Technical communication, technical communications, technical writing, The Content Wrangler, Tom Aldous, translatability, translate, translation, Twitter, Val Swisher, video. Bookmark the permalink. Danielle, How did you capture all this? I got a lot out of Adobe Day from being there—and even more from reading your notes on it. Thanks. Very rapidly, for sure. 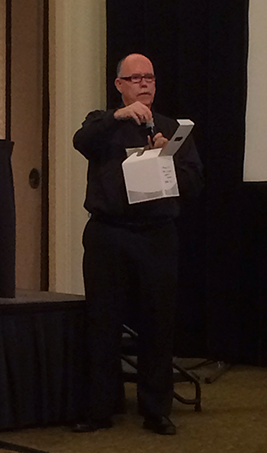 You saw me–I was armed with an iPad and keyboard, ready to go (using Copy-Paste shortcuts helped)! And what’s amazing is that I still didn’t cover everything. I’d say about 90% of this is mine, but the “contributors” (of which you are one of them) made up about 10% of it. Sometimes when capturing the other tweets in the hashtag stream, it helps as it confirms that I heard the same thing and interpreted information correctly, but others sometimes catch what I wasn’t able to get down fast enough or summarize in my head fast enough. No question that the session–as all of them are–were jam-packed with great information!